Specially formulated and ready-to-use, this all-purpose plant food improve flowers, plant growth and increase crops for a colourful and productive garden. Fish, Blood & Bone is a good, natural source of all three of the major nutrients, nitrogen, phosphorous and potash. Being especially high in phosphorus makes it particularly good for building soil fertility and stimulating strong, healthy root growth. Excellent for sprinkling into planting holes at planting. 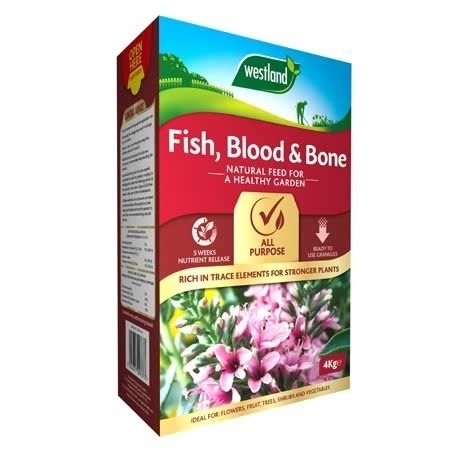 With trace elements included Fish, Blood & Bone steels all your plants against diseases and keeps their immune systems in working order.